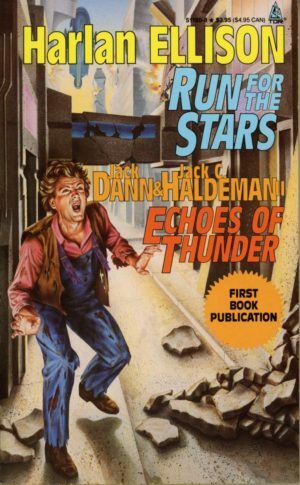 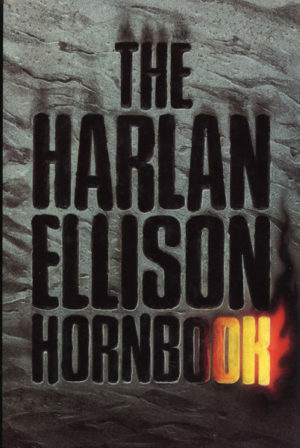 Harlan Ellison’s first book of television criticism. 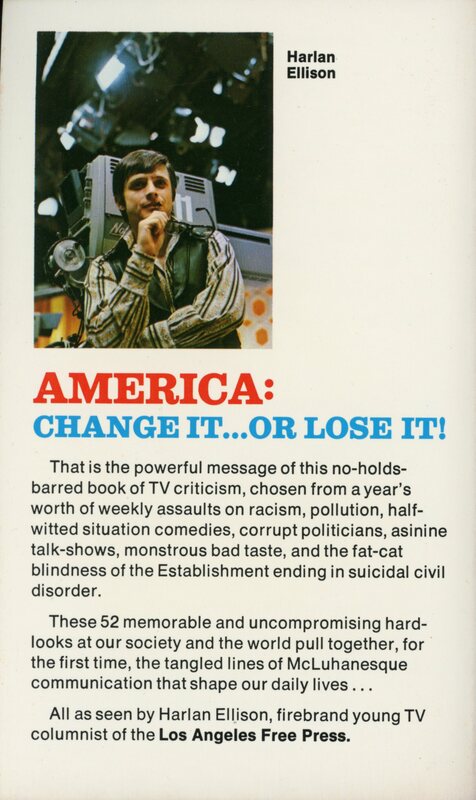 America: Change it…or loose it! 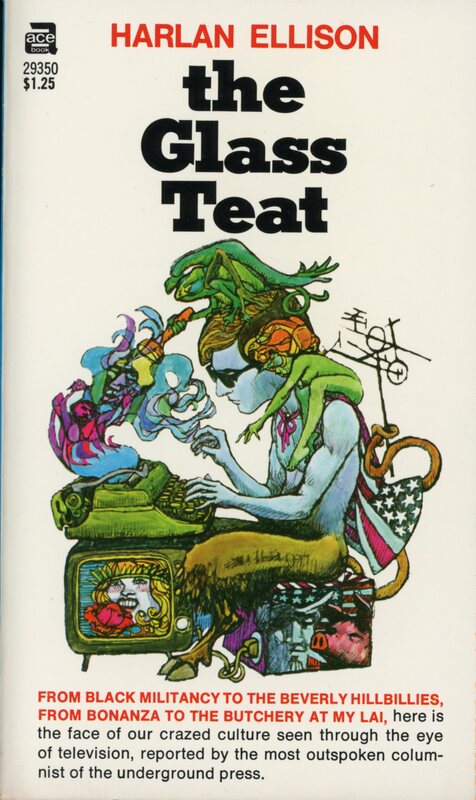 That is the powerful message of this no-holds-barred book of tv criticism, chosen from a year’s worth of weekly assaults on racism, pollution, half-witted situation comedies, corrupt politicians, asinine talk-shows, monstrous bad taste, and the fat-cat blindness of the Establishment ending in suicidal civil disorder. 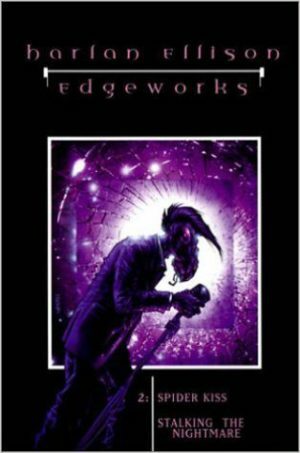 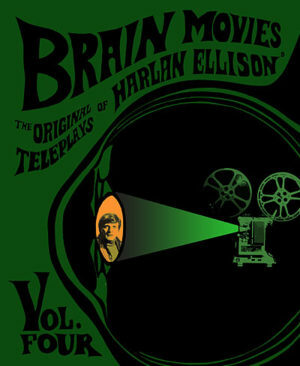 All as seen by Harlan Ellison, firebrand young tv columnist of the Los Angeles Free Press.